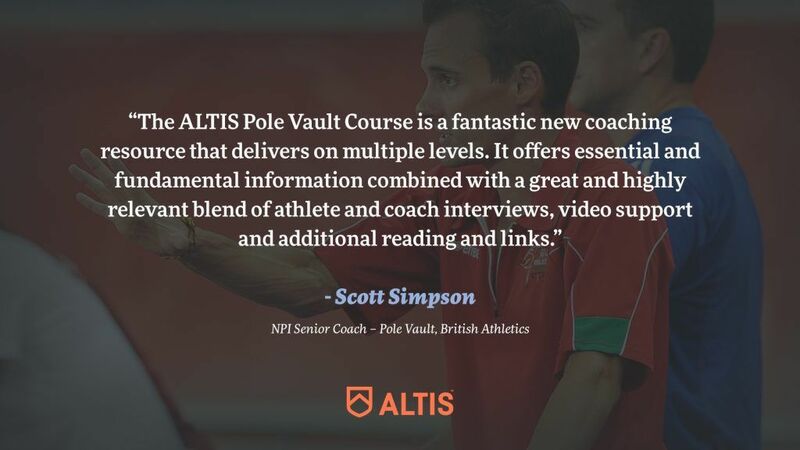 Coaching the Pole Vault is a bespoke online educational program dedicated to the Pole Vault, representing the first course in the ALTIS Track & Field Education Series. Featuring 12 modules written by renowned Coach and Educator – Dan Pfaff – this digital course is packed with coaching insights, tips, tools, and progressions, crafted to build topic-specific understanding, develop targeted coaching skillsets, and accelerate your development. In addition, it features a range of elite coach and athlete interviews bringing a fresh and wide-ranging perspective to your learning. With a rich history and significant evolution over the past century, the Pole Vault has a colorful past. 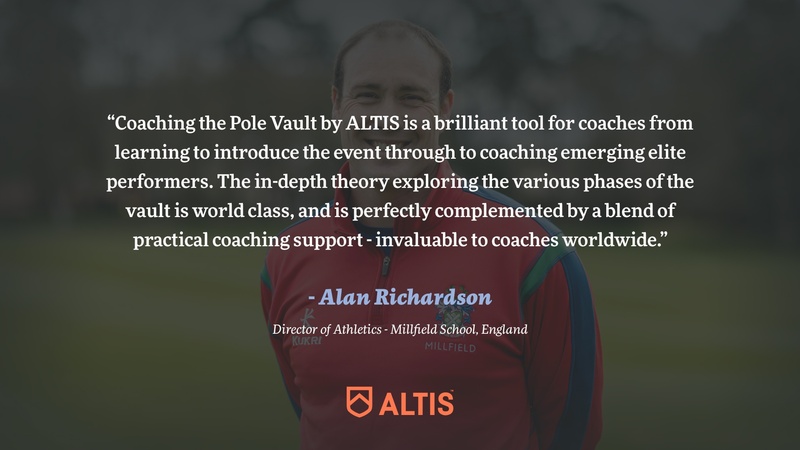 Add to this the many schools of thought that have shaped the technical evolution of the event, and coaches are faced with a confusing array of opinions, methods and style from which to sift through when striving to learn about the vault. This is where this course aims to help: Our aim is not to disseminate opinion and conjecture, but to provide a balanced, experience–based and evidence–supported overview of the event. This view will be founded on biomechanical truths, as well as lessons learned from over 40 years coaching of a number of world-class vaulters, interaction with coaches from around the globe, and observation of trends – both past and present. From this grounding, we will provide you with explanations for the reasons behind technique nuances, and separate ‘style’ from non-negotiable technical truths. 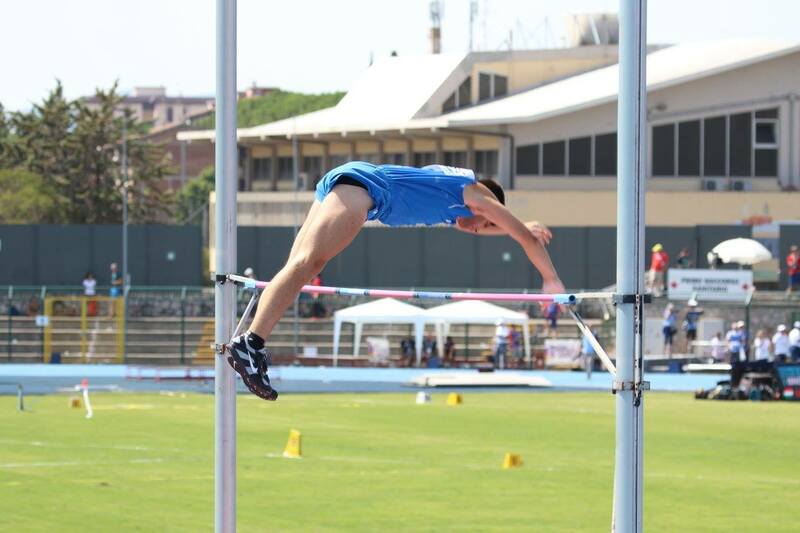 Coaching Pole Vault effectively isn’t borne from imitation of the latest and greatest, it comes from a deep understanding of cause and effect, and the application of biomechanical principles. It is our hope that on completion you will have gained this understanding, and be confident with the application of concepts learned within your own environment. 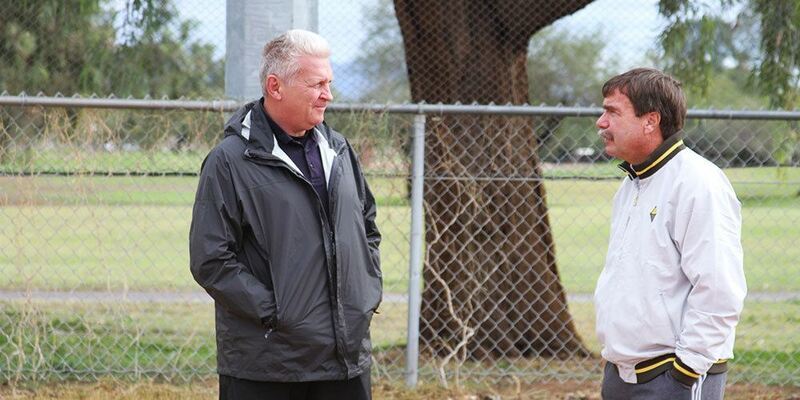 Coach Pfaff is a globally recognized expert in the field of coaching & coach education. With over 40 years coaching across multiple Track & Field disciplines, Dan has led 49 Olympians to 9 medals. He has lectured in 27 countries & consults across multiple sports, delivering coach education to National Governing Bodies & private organizations globally, in sports ranging from football & basketball, to rugby, soccer, golf & baseball. Contributors: Coaches David Butler, Jeff Hartwig, Jan Johnson & Ellie Spain. Guests: Holly Bradshaw, Greg Hull, Stacy Dragila, Scott Simpson, Alan Richardson. Acknowledgements: We extend our thanks to Jan Johnson, Steve Chappell, Ole Kvist, and Hebert Czingon for their permissions of use of selected materials, graphics, and film. 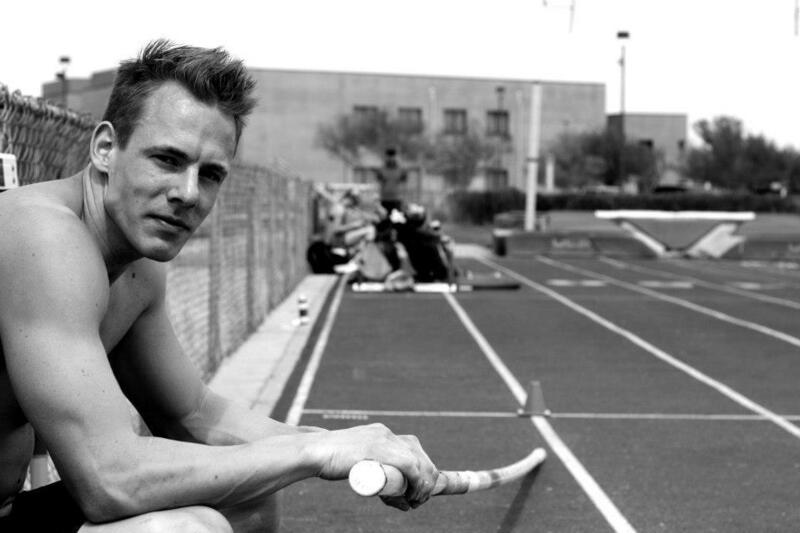 Provide a comprehensive exploration of the factors that influence success in the pole vault. Outline key safety considerations for training and competition. Provide teaching progressions and coaching strategies to safely and successfully develop beginner athletes into successful pole vaulters. Share insights from world class vaulters and their coaches to provide a unique insight to what people need to succeed. Beginner Coaches seeking to gain an understanding of the event from one of the world’s best coaches. Developing Coaches looking to expand their knowledge base and challenge their understanding. Emerging-elite Coaches seeking to grow their perspectives, continue their development, and challenge their philosophies. Our thanks go to the guest contributors who have kindly donated their time and resource to this course. This course is made up of 12 modules, and is fully digital – designed to be taken online only. 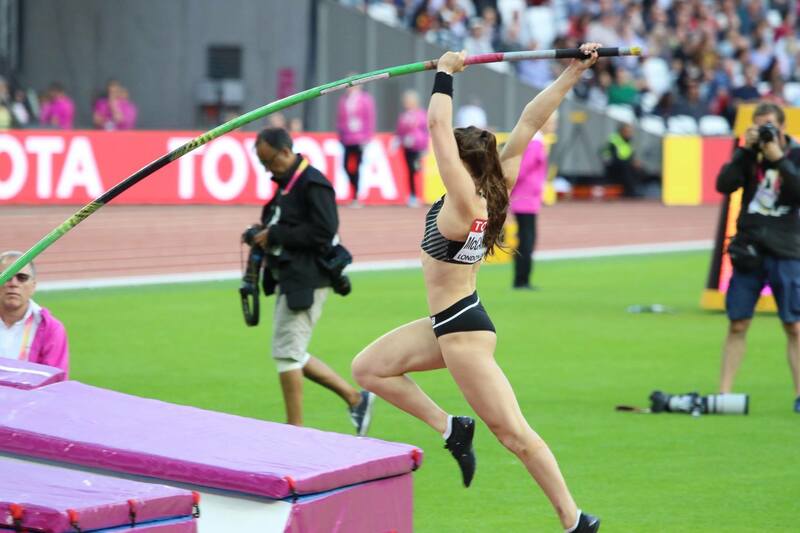 A fresh approach to Education and Professional Development for Pole Vault Coaches. This course has a learning guide time of 24 hours. Accelerate your development and widen your perspective. Photo credits: Ole Kvist. This course can be purchased for an affordable one off payment of $149. With 12 modules of content packed with insight, this course is not to be missed at just $149. Photo credits: Ole Kvist. Can I download the course content? No – the content is only available online. However, some of the further learning resources can be downloaded. You also have lifelong access to this course, so can refer back to it at any time. Is there a set start and finish date? No – you can start and finish at your leisure, and course access has no time limit. 12 modules of bespoke content, written by one of the most experienced Coaches in Track & Field – Coach Dan Pfaff. 156 ALTIS educational videos including interviews, video reviews, teaching progressions and development exercises. Further learning materials and resources. Access to the ALTIS Agora Council on Facebook – our online portal for interacting with ALTIS coaches and networking with our course members globally. 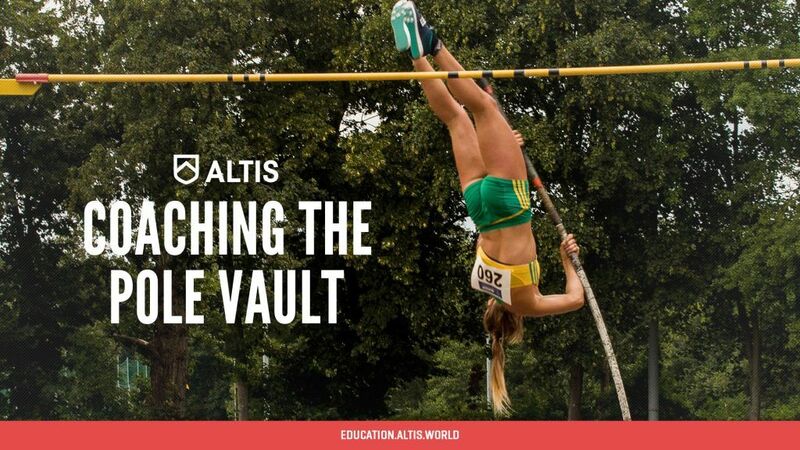 Note: For the purposes of this course, we will discuss the vault from the perspective of a right handed vaulter who’s ‘top hand’ is the right, and ‘bottom hand’ the left. If you coach left handed vaulters, you will simply need to reverse this when coaching or considering a given concept or description.